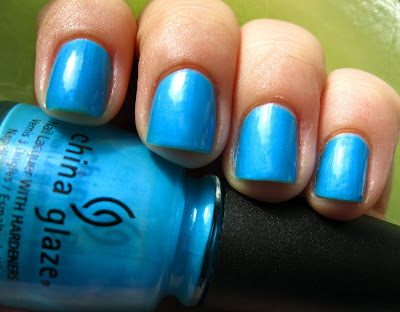 China Glaze Poolside Collection - Polish Etc. I absolutely love neons for summer. 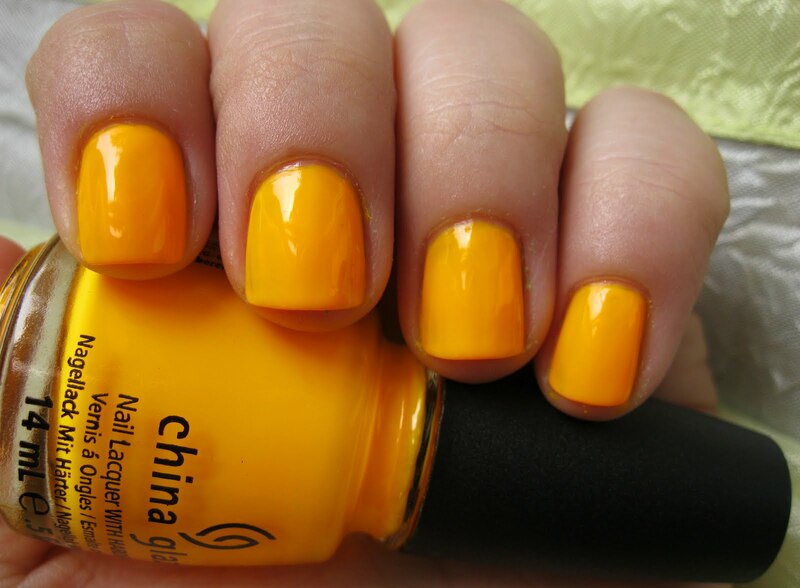 There's nothing like having your fingernails and toenails glowing against tan skin. They're so much fun! I haven't had the courage yet to wear neons to work, although it's not against our dress code.. it just feels unprofessional. 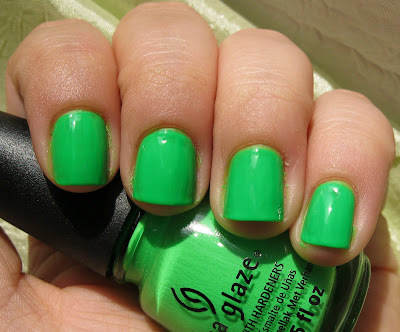 Hopefully I can wear some of the poolside collection to work this summer, or else I'll be rocking neon pedicures. 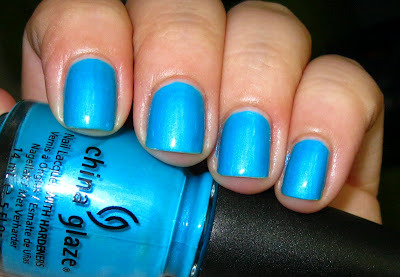 China Glaze Poolside Collection from the summer of 2010 has fantastic neons! China Glaze Yellow Polka Dot Bikini is from the poolside collection and is a neon fluorescent yellow. 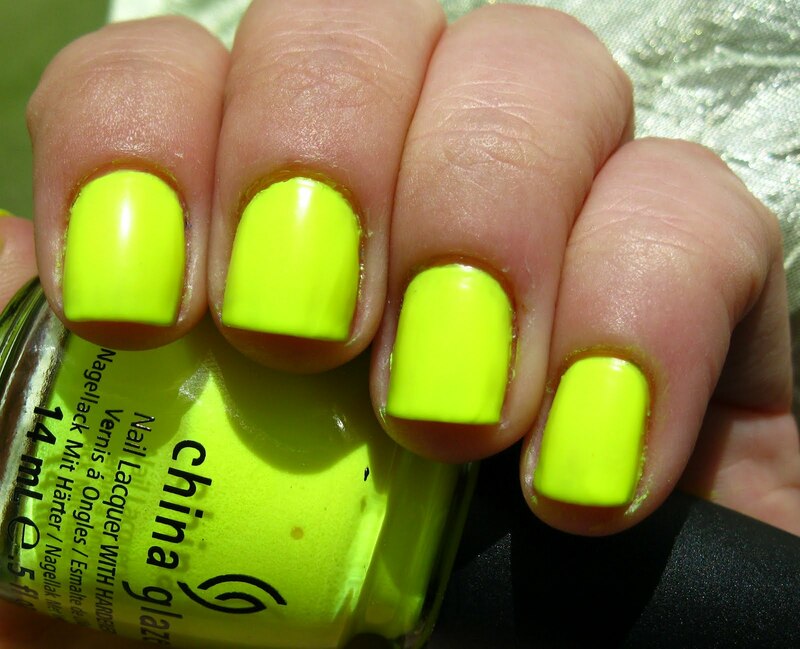 It dries matte like most neons and simply glows. The formula on this one is quite streaky, but not nearly as bad as I was led to believe by some reviews. Since I didn't use a white base coat this is 4-5 (I can't remember exactly, and I'm sorry for that) coats over base coat. The color is A LOT more neon than it appears here. It literally glows exactly like a yellow highlighter. Towel Boy Toy is a very bright blue-teal. 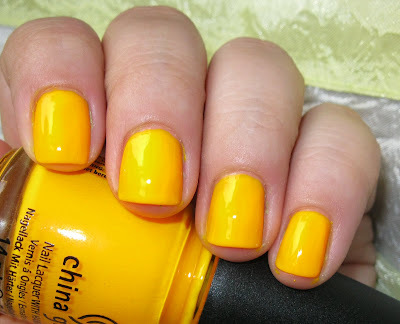 It's not quite neon, but bordering on it, and it still dries matte. This was three coats and it could have used another for 100% opacity. Sun Worshiper is a neon orange. 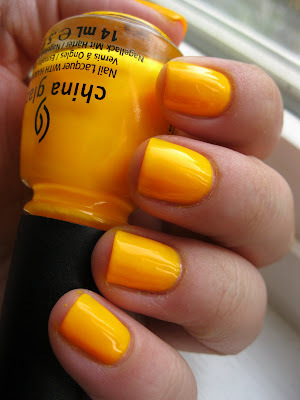 This one is almost safety-orange it's so bright. 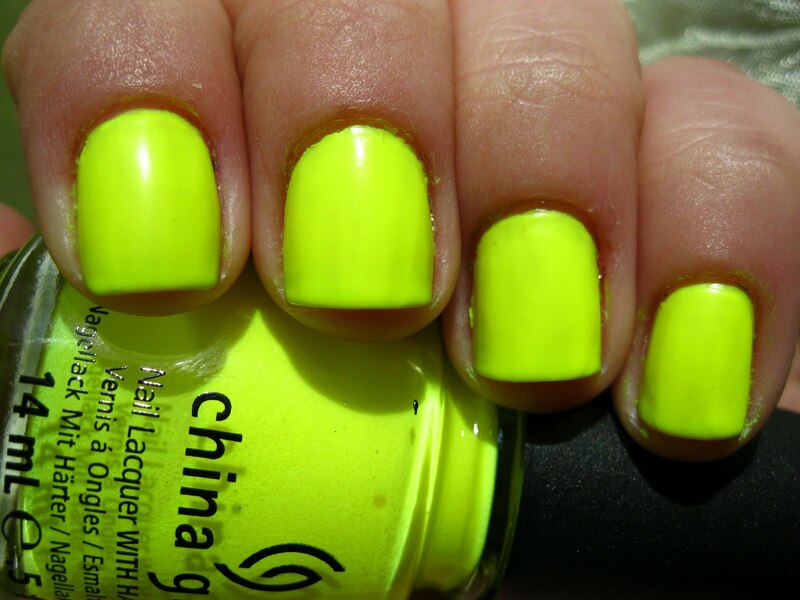 It's the color of those neon vests that road workers wear to avoid being hit at night. When your headlights hit the reflective orange and it literally glows. Three coats + SV. 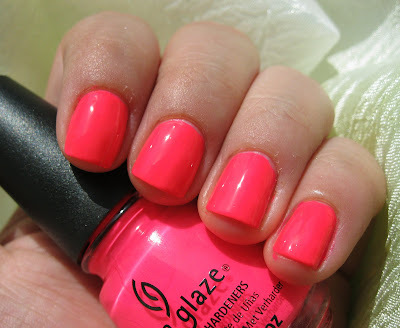 Pool Party is a bright neon pink. It looks like more of a pink creme but dries matte like the rest of this collection. This one I had the hardest time photographing. 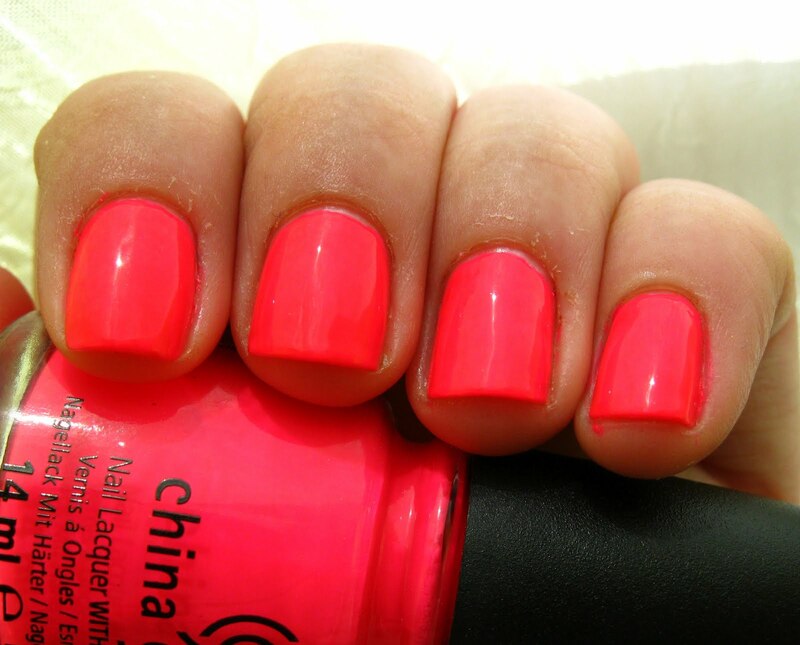 It is a bright glowing pink, not as orange or as dark as it appears in these photos. Three coats and top coat. 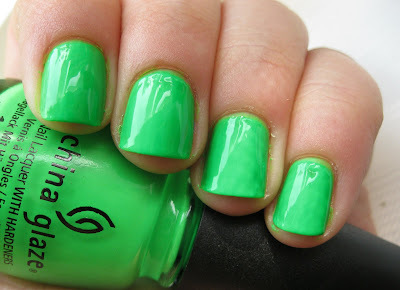 Kiwi-Cool-Ada is a medium neon green. It's a bit darker than the other green neons I own, but it somehow still glows (I'm just fascinated by how neons truly GLOW). The formula was a bit streaky but not horrible, three coats and top coat. Overall I am very happy with the poolside collection and I might have to pick up the only one that I didn't order, Flip Flop Fantasy.